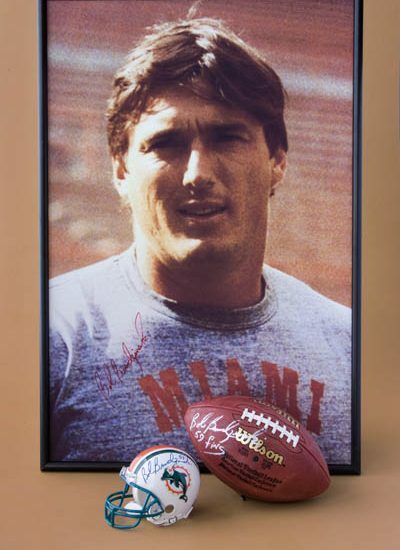 A native of Freemont, Ohio, Brudzinski played football at Ohio State University from 1973-1976. During his years there he played on four Big Ten Championship Teams and in three Rose Bowls and one Orange Bowl. The 6’4″ 230 pound lineman was named a consensus All-American in 1976 and was a two-time all Big Ten selection. Brudzinski was a first round draft choice of the Los Angeles Rams in 1977 and played 13 years in the NFL – the first four with the Rams and the final nine with the Dolphins. Switching to linebacker in the pros, Brudzinski played in three Super Bowl games (with the 1979 Rams, the 1982 and 1984 Dolphins). It was with the Dolphins that he made his mark playing on the famed “Killer Bee” defense. 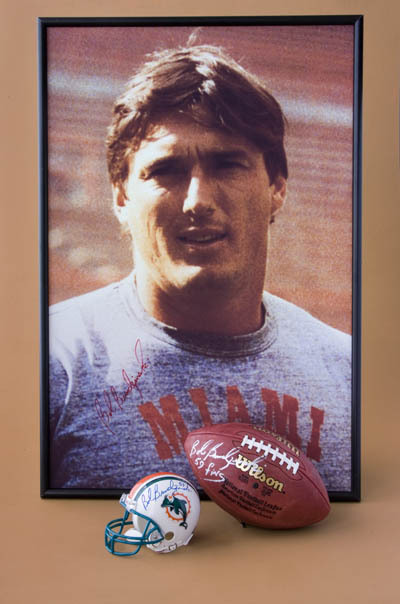 He was Miami’s leading tackler and recorded over 600 career tackles. 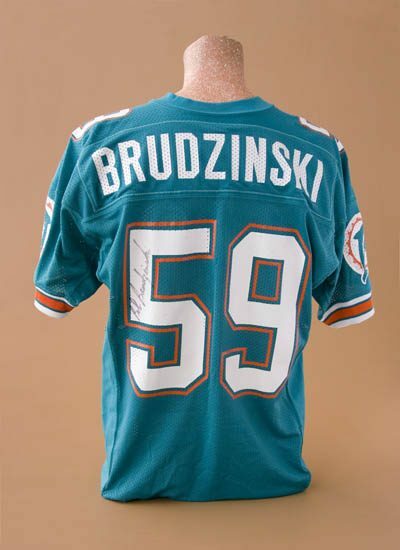 Brudzinski was named to the Dolphins Silver Anniversary team. They called it The Prairie. It was a small, modest neighborhood on the outskirts of Fremont, Ohio. And what Bob Brudzinski remembers about growing up there in the mid-1960s is as much about family and heritage as it is about the sport in which he would eventually make his name. Football was important, of course. But family and heritage were just as important. Maybe even more important, as he looks back now at the age of 50. That meant regular trips to church and school at St. Casimir. And it meant polka music. “On Sunday mornings, my dad would turn the radio on and the polkas would be on,” Brudzinski recalled. “We used to go to these polka dances when I got to high school, it was fun, it was great – especially watching the old ladies do those dances. For as long as he can remember, Brudzinski says he was proud of his Polish ancestry. By the time Brudzinksi was in the seventh grade, he was well on his way to becoming a three-sport letterman at Fremont Ross High School. And, in retrospect, it seems inevitable that he would excel in an athletic family. His father, Leonard, who supported his wife Dorothy and their five children as a factory foreman, was an outstanding athlete. His uncle Steve went into the Bowling Green Hall of Fame on his football accomplishments. His older brother Denny was an outstanding baseball player and his younger brother T.J. was an all-around athlete who attended Dayton on a football scholarship. At 6-feet-4-inches, 230 pounds, Brudzinski was bound for greatness at Ohio State University, playing in three Rose Bowls and celebrating his 22d birthday with a 27-10 victory over Colorado in the Orange Bowl. He was a two-time All-Big Ten selection and a consensus All-America defensive end as a senior in 1976, selected to the Ohio State University sports Hall of Fame in 1993. Brudzinski was a first-round draft pick of the Los Angeles Rams in 1977 and played 13 years in the NFL – the first four with the Rams and the final nine with the Miami Dolphins. During that time he played in three Super Bowl games (with the 1979 Rams, the 1982 and 1984 Dolphins) and played on only two teams with losing records. Lions president Matt Millen, whose career with the Oakland and Los Angeles Raiders overlapped Brudzinski’s career at Miami, recalls him as a “solid and consistent” outside linebacker. “One thing about Bob that you always saw, whenever you put their tape on, is that the guy never made any mistakes,” Millen said. “Never. And he played at a nice high level. “Every time you went into a game with him it’s not like you were going to say, ‘Oh, there’s Lawrence Taylor over there,’ but you always had to account for him. I think that’s always the mark of a good player. Since his retirement at the end of the 1989 season, Brudzinski has continued to make his home in the Fort Lauderdale, Fl., area. He has two sons – Brandon, 22, and Beau, 18. Both played high school football and Beau will begin school – and football – at the University of Toledo this fall. Brudzinski himself got involved in the restaurant business with longtime friend Eddie Hauck, selling Buffalo wings. He currently has four Bru’s Room Sports Grills in operation and is in the process of opening two more. Brudzinski said he was surprised and flattered to be selected for induction into the National Polish-American Sports Hall of Fame and feels a connection from his younger days at The Prairie.